Cast of Star Wars VII Announced! Happy (early) May the Fourth everyone! This year, I thought I’d get on this fandom anniversary early by passing on some franchise news that was just released from Lucasfilm and Disney regarding the upcoming relaunch of the Star Wars franchise. After months of speculation, the cast for the upcoming Star Wars movie has finally been announced! The news came this past week in a post on StarWars.com, where companies spelt it out for all the fans who have been eagerly awaiting the news. In addition to Mark Hamil, Harrison Ford and Carrie Fisher – who will receive top billing as Luke Skywalker, Han Solo and Princess Leia – Peter Mayhew, Anthony Daniels and Kenny Baker will also be reprising their roles as Chewbacca, C-3PO and R2-D2. Also, the movie will star several notable actors in new roles, including acting great Max von Sydow (The Tudors, Minority Report, Snow Falling on Cedars, Judge Dredd, Needful Things). Also, Adam Driver (Girls, Lincoln), Oscar Isaac (Robin Hood, Sucker Punch, Drive), Andy Serkis (who brought Gollum to life in LOTR and the Hobbit franchises), Domhnall Gleeson (who played Bill Weasely in the Harry Potter series), and British television stars John Boyega and Daisy Ridley were announced, though has is not yet been announced what characters they will be playing. But since the upcoming movie will be taking place 30 years after Return of the Jedi, it’s fair to assume that the focus will be on these characters rather than on the original cast. In a photo release this past Tuesday (seen below), director JJ Abrams is seen having a roundtable discussion with the cast at Pinewood Studios in the UK. Note the body of R2-D2 which sits unboxed behind them, having no doubt just been brought out of storage. JJ Abrams, identified by his spiky hair and glasses, can be seen sitting to the left of R2, with Harrison Ford to his right, Carrie Fisher two seats down, and Mark Hamil seated opposite to the far left of the photo. 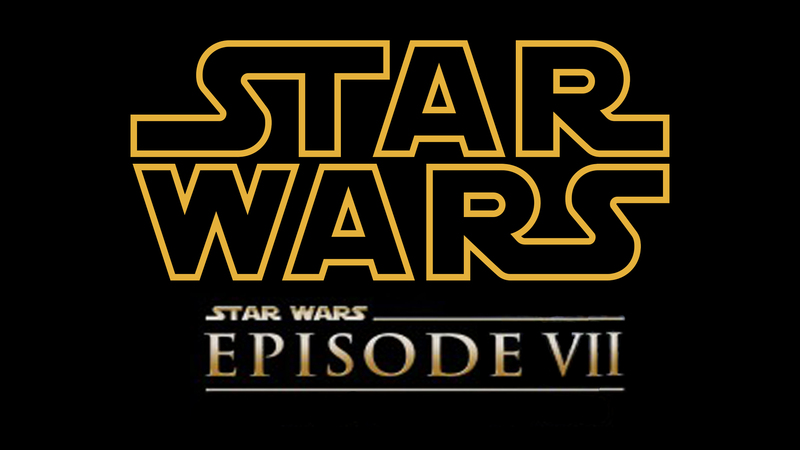 We are so excited to finally share the cast of Star Wars: Episode VII. It is both thrilling and surreal to watch the beloved original cast and these brilliant new performers come together to bring this world to life, once again. We start shooting in a couple of weeks, and everyone is doing their best to make the fans proud. 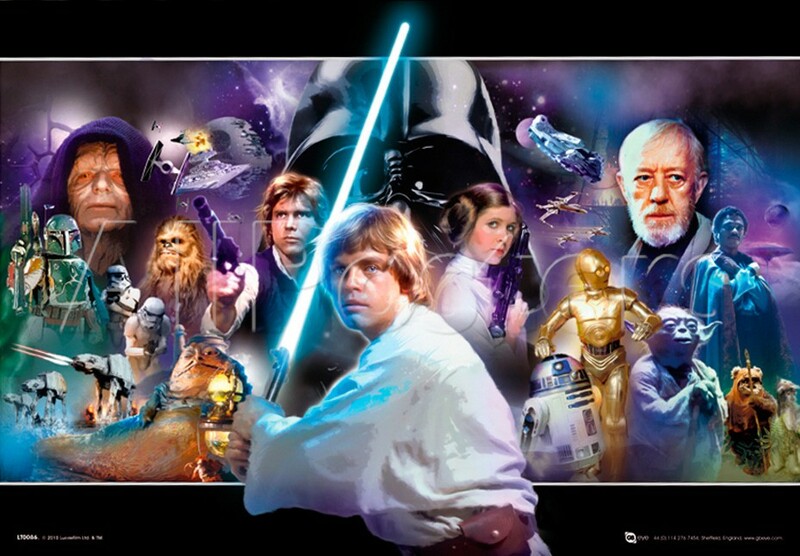 This, the seventh film in the Star Wars franchise, and is slated for a December 18th, 2015, release. In addition to Abrams directing, he is also collaborating on the screenplay with Lawrence Kasdan, the man who co-wrote The Empire Strikes Back, Return of the Jedi and Raiders of the Lost Ark. Kathleen Kennedy, J.J. Abrams, and Bryan Burk are producing, and John Williams returns as the composer. I think I speak for fans and geeks everywhere when I wish them all luck! Lord knows we could all use a really decent Star Wars sequel, especially when so many of us felt so utterly let down by the prequels! However, I think it is fair to say that Abrams and the rest should not be too concerned about what the fans and expect. If this latest installment is to be a success, it must not be overly aware of itself or its legacy. Such was part of what brought the prequels down in my estimation, and like everyone else, I just want to enjoy what comes next! Good day and May the Fourth be with you all! I heard a rumor where the story for Episode VII will focus on Luke and the gang time-traveling to Anakin’s early days on Tattooine, trying to stop him from growing up to become Darth Vader and creating the empire. If that happens, I may not ever watch Star Wars again. Noooo, that sounds like the stuff of internet rumor to me. It was to be, otherwise, Disney, Abrams and Lucas will never be safe again! I’d personally prefer a new Sith Lord who wants to manipulate the galaxy into an all-out war, all for the sake of destruction, and even clones Darth Vader to throw Luke off his edge. Oh absolutely! There’s been many precedents made for this in the Expanded Universe, but much of that material has to be reconsidered since they’re doing the “30 years later” angle. 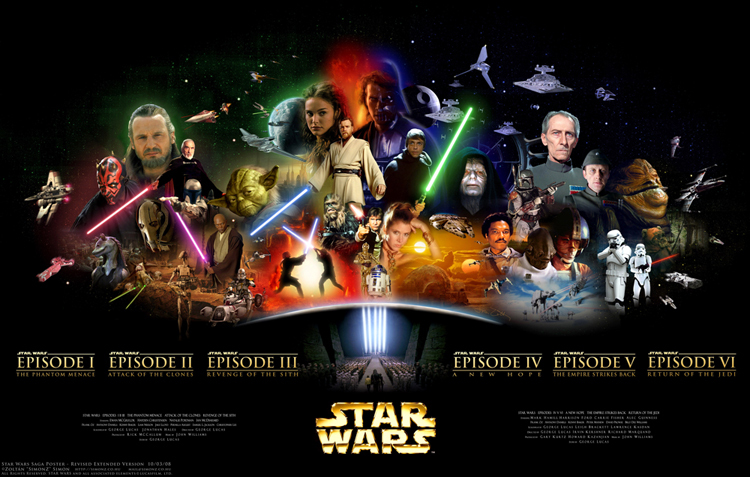 How much of the expanded universe have you experienced? Mostly the Jedi Apprentice and Jedi Knight books which show the apprenticeships of Anakin Skywalker and Obi-Wan Kenobi. Oh, and an animated feature involving the Ewoks. Ah yes, those. Too bad, because there are several novels and graphic novels that follow after the original movies which were really quite good. I’ve heard of them, including one where Luke briefly goes to the Dark Side. I haven’t really looked into them though, mostly because it’s hard to tell what’s canon and what’s not. And I tend to read a bunch of other stuff as well. Well, the Thrawn Trilogy was good, but he’s not usable since he showed up like 5 years after Jedi. The Dark Empire series was about a resurrected Emperor (a clone) coming back, but again – that was 7 years after. So in a way, this movie will have a clean slate, and can borrow freely from these. Maybe a species of aliens that thrive on the Dark Side of the force? They were born of it, they carry out its will, and they come in its name to destroy? Could be. Have you played any of the Knights of the Old Republic series? Because they have something very similar taking place there. I’ve only ever played one Star Wars video game ever. I’m not sure which, but you played it with the Kinnect and you were a Padawan on the homeworld of the Wookies who went to the planet of some Gorn-like creatures to stop an invasion. If you survived at the end, you became a Jedi Knight.